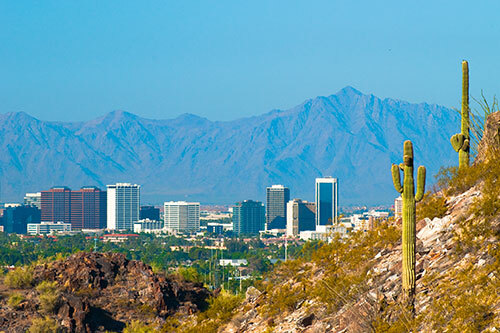 Are you in Phoenix warming up for the winter? Do you have a special vehicle you don’t want to live without, like a motorcycle or your Jeep? Are you a part of the sales staff at Midway Nissan with a lot of your best customers coming from California? Or is your son or daughter one of the 4,000 Californians choosing college in Arizona and wants to bring the car? 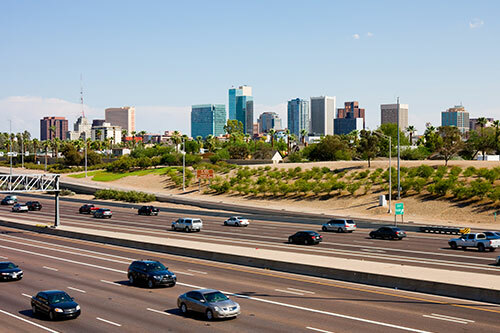 If you’re faced with the daunting task of auto shipping in Phoenix, you have several different options, including the type of carrier, a range of upgrades, and choosing who’s trustworthy enough to handle the job. 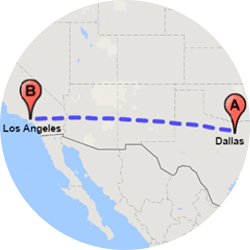 Why choose Easy Car Shipping for vehicle transport in Phoenix? 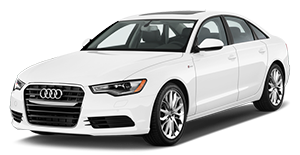 Your search for a capable auto transporter in Phoenix can end right here, because you’re looking for experts with a stellar track record. You want the best in the industry to handle your car, truck, SUV or motorcycle swiftly and completely, with a minimum of surprises. If you read our online reviews you’ll see why our clients return again and again, and why we maintain a rating of 4.6 out of 5 stars. Were you thrilled to find a transport company for cars, only to have them cancel midway through the project? We can take over and see the job done – and done right. And we arrange pick-up for nearly every imaginable vehicle. 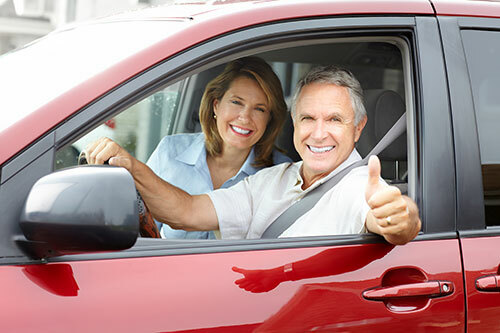 After three decades in the car business, our reach is broad and we have many connections to provide you the most cost-effective options in the industry. When we’re compared to other auto transport companies in Phoenix, some of our standout qualities include our professionalism and stellar communication with our clients. 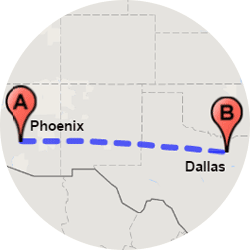 How long does auto transport take from Phoenix? If you can give us a week it’s helpful, but we can sometimes turn it around in one day. If you want it soon, perhaps for a birthday party or anniversary, you should order express auto transport. It’s a great service and you can nail down dates that way. When you look into car transport companies in Phoenix, you want to inquire about which details affect the timeline of your car relocation job. 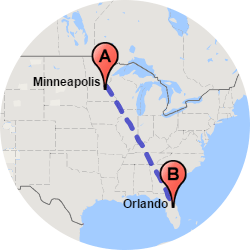 One of those is, of course, the destination. Is your daughter headed to BU and wants to bring her Honda? Nationwide shipping takes longer than something more local – say, east Texas – but the size of the destination matters too. If it’s going to a big city where there are major arteries and plenty of carriers headed that way, you’re golden. 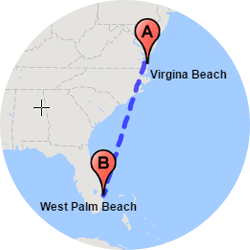 But if you ship a car to somewhere in the Appalachians, for example, it will likely take longer. 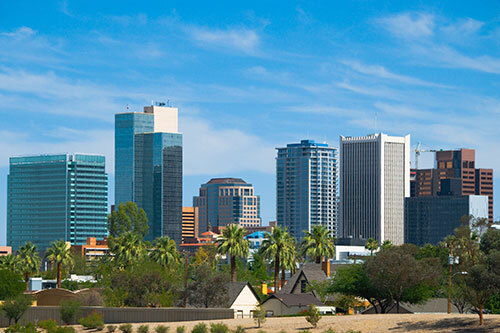 Are you a snowbird looking for auto transport to Phoenix? If it’s the dead of winter and the carrier has to go through Minnesota, things like snow and hail can slow it down. 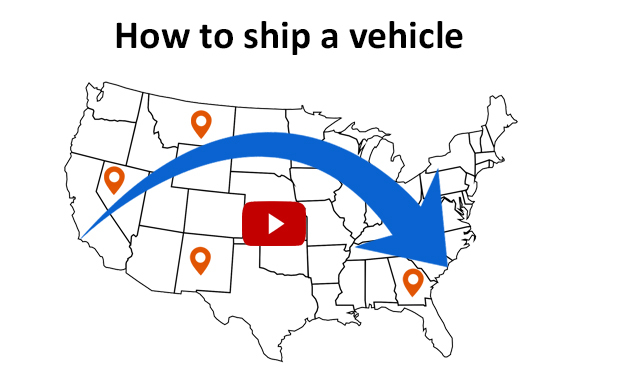 How much does it cost to ship a car in Phoenix? Is your child one of the 8,000 out-of-state students who come to Arizona for school? If you’re an ASU Phoenix campus parent and you live in North Carolina, you need reliable auto transport to get the Toyota out there. And if your budget’s an issue, you want to know about all the fees up front. 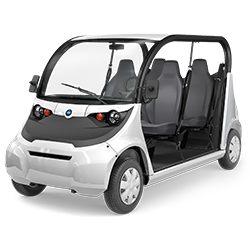 At Easy Car Shipping you can use the Quick Quote system online and once you receive your total, we guarantee it for two solid weeks! It’s twice the industry average, by the way. Are you a car collector who spends a lot of your free time trolling car buying guides? If you’re buying or selling cars at auction, you have to figure car shipping services into the overall cost. Are you an Auction Direct dealer, and the cars you’re selling need exotic car transport? It doesn’t have to be a $400,000 Lexus Nürburgring to need the attention of a first-class carrier. 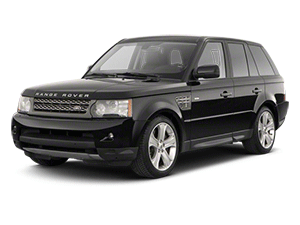 If the value exceeds $70,000 most auto shippers in Phoenix will recommend it. The enclosed car transport in Phoenix costs more, but it’s worth it. There are fewer vehicles en route, plus the vehicle has protection from dirt, rain and sun exposure. For classic car transport in Phoenix, you want to at least consider enclosed transport – especially if it’s got sentimental value, like the Mustang you and your dad rebuilt the engine for. Did you buy a car at auction, but it’s in upstate New York? If it’s a used SUV for the family, car shippers will probably tell you that open transport should be fine. But did you buy a Lamborghini? You probably want to consider an enclosed carrier for rare, more valuable cars. Enclosed car transport in Phoenix has trailers that limit it to 2-6 cars at a time, while the open carriers you see a lot more often have room to stack 7-10. 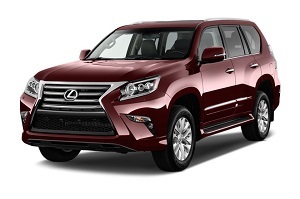 So even if it’s a brand-new Escalade, or some other nice SUV, you want to consider that. Most luxury car transport is a safer bet on an enclosed vehicle trailer. Let the Easy Car Shipping experts know the details and we can line up the best car transporter for your situation. 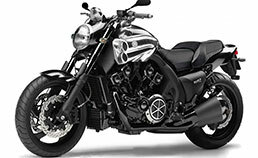 We do motorcycle shipping and truck transport in Phoenix. More Arizona students head to Utah for college than to any other state. If you’d rather your son didn’t drive his Ram truck 13 hours to get to UNC in Greeley, we can ship a modified truck from Phoenix, no problem. And if you’re snowbirds from Michigan, excited to soak in some sun in Arizona, check with us about getting your car there for you to enjoy all season. We offer a discount on the return trip. If your vehicle doesn’t run we can winch it onto a carrier. Do you have a truck on a work site and you need it hauled for repairs? At Easy Car Shipping, we’ve got the equipment to handle it. 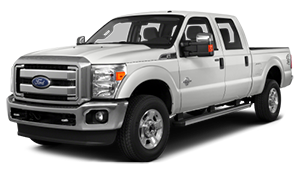 In fact, we can ship a truck of just about any model, plus we do a lot of other vehicle shipping in Phoenix. Do you love golf? If you live in Phoenix, there’s a good chance you do. 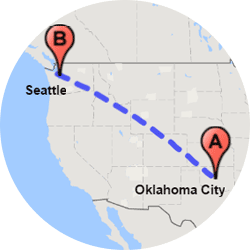 Do you need your cart transported from point A to point B? If retirement is taking you out of the area to be near your grandkids, for instance, we can do golf cart transport for you. Are you fastidious about paperwork? You wouldn’t even think about driving without insurance – and we agree. 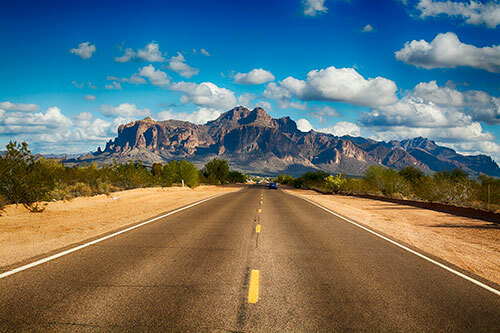 For your car delivery from Phoenix to anywhere, or vice versa, we make sure the driver has adequate insurance coverage. It’s rare that anything doesn’t go as planned, but in case there’s any event (except “acts of God,” of course), we offer you the peace of mind you get from knowing a policy is in place. Also, we include it in your initial quote, so you’re aware of the policy wording. Part of the appeal of our services at Easy Car Shipping is our attention to detail. 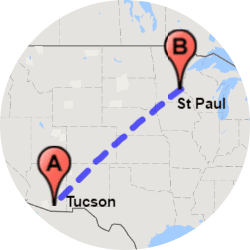 Whether it’s van transport from Phoenix to your new job in Poughkeepsie or car shipping to Phoenix from Washington, when your vehicle is in our possession, its safety is our number one concern.